It is with broken hearts that we announce the passing of our beloved husband, father, grandfather and brother, Gerald Francis (Buddy) Devoe, 80, who passed away peacefully on January 30, 2018 at the Northside General Hospital, surrounded by his loving wife and family. Born on September 17, 1937 in North Sydney, Buddy was the son of the late John Silos Devoe and Mary Ann (Penny) Devoe of North Sydney. One of his biggest joys in life was looking after his family, whom he loved dearly. He enjoyed nothing better than sharing laughter and fun times with family and friends. He and Alberta loved skating and dancing and together enjoyed many years with the Coxheath skaters and the Sydney Pensioners Club. He was a devout and faithful member of St. Joseph Church, North Sydney. He was also very active in the community, having served with many organizations throughout his life. Buddy served as an officer and was Commander of the Canadian National Sea Cadets 129 Squadron in North Sydney for a number of years. He was a member many years with the William Kiely Council 5109 Knights of Columbus North Sydney and was Grand Knight with that organization at one time. He sat on the board of the Haley St. Center for a number of years and enjoyed working with that organization very much. Buddy also sat on the Sydney Ports Board for several years, and always got great joy being part of the group inducting a foreign skipper visiting Cape Breton for the first time into the renowned “Order of the Sou’wester”. He was a long time member of the Northern Yacht Club with many positions served on the executive, including Commodore for a number of years and was an Honorary Lifetime Member of NYC. Buddy passed on his love of sailing to his children and grandchildren who are still active sailors still today. An untold number of people on the Northside knew Buddy as a local mailman having served with Canada Post for 34 years, and was a member of the original group of letter carriers to provide service to the town of North Sydney. Buddy is survived by his loving wife of 56 years, Alberta (Burns) Devoe; his son, Richard (Mary) Devoe, and their children, Tara, Jeffrey and Kate, Coxheath; his daughter, Bernice (Chris) Osmond and their children, Emily and Christopher, Sydney Mines; his sister, Phyllis MacKinnon, North Sydney; sisters and brothers-in-law, and many nieces and nephews. Buddy was predeceased by sister, Leona Bryden, and two brothers, John and Archibald. The family would like to extend our heartfelt thanks to the staff at the Northside Community Guest Home, Northside Homemaker Service Society, Northside General Hospital, Cape Breton Regional Hospital ER as well as family doctor Bill MacDonald for their excellent care of Buddy. 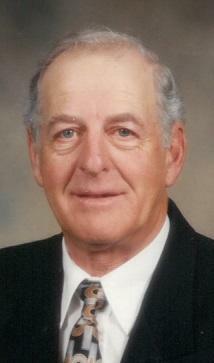 Visitation for the late Buddy Devoe will be held from 2-4 and 7-9 on Thursday in the W.J. Dooley Funeral Home, 107 Pleasant St., North Sydney. Funeral Mass will be celebrated 10 a.m. Friday at St. Joseph Church, with Rev. Patrick O’Neill officiating. Interment in Holy Cross Cemetery North Sydney at a later date. Messages and memorials may be directed to family by visiting www.wjdooley.com.